Please take our #ADAA2019 Survey - Your Voice Matters! 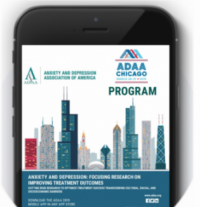 The ADAA 2019 Conference brought together a record number of over 1,400 clinicians and researchers from across the United States and around the world in Chicago, IL to share, network, collaborate and learn about treatment-resistant anxiety, depression, and related disorders. It was four days of unparalleled educational content. Conference attendees left feeling energized, more connected to their peers and better able to integrate research, practice and community. We would like to thank our 2019 Conference Committee chair, Ned Kalin, MD and the 2019 conference committee’s dedication for their dedication and many, many hours of hard work ensuring a wonderfully successful event. The and hard work helped ensure a wonderfully successful event. Thank you to all of our sponsors and exhibitors for being such an important part of #ADAA2019. The opening session featured an overview of ADAA’s mission and accomplishments presented by ADAA President Dr. Beth Salcedo. ADAA President-Elect Dr. Luana Marques presented the 2019 awards which included the 2019 Donald F. Klein awardee, the Alies Muskin Career Development Leadership Program (CDLP) awardees; and this year's Member Recognition awardees. The opening keynote was sponsored by Rogers Behavioral Health and was presented by Alan Schatzberg, MD on the “Potential Drugs of Abuse as Antidepressants and Anxiolytics: Pluses and Minuses”. The Jerilyn Ross Lecture was presented by panelists Adriana Feder, MD, Roland Griffiths, PhD, Alan Schatzberg, MD and Carlos A. Zarate, MD and was moderated by ADAA board member Sanjay Mathew, MD. 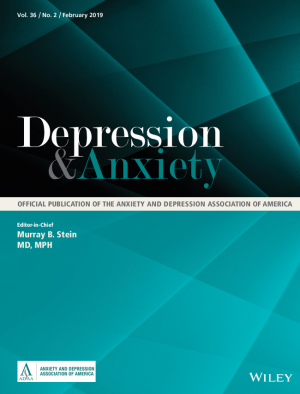 This year's Jerilyn Ross Lecture was sponsored by VistaGen Therapeutics and focused on “Ketamine and Mind-Altering Drugs in Treating Anxiety and Depression: Potential Roles and Pitfalls”. Session highlights included 15 Master Clinician sessions, a new half-day Suicide Prevention Program, Timely Topic sessions, the 22st Annual Scientific Symposium, the 5th Annual Clinical Practice Symposium, a new Presidential Special Session, and two new Science Spotlights. On Friday and Saturday evenings attendees enjoyed two poster sessions where more than 350 young professionals presented their current research. Special conference events included a first time attendee breakfast, Friday evening dine-arounds, SIG breakfasts and lunches, a free professional headshot booth, networking breakfasts and coffee breaks with the exhibitors and many ADAA surPRIZEs! We hope to see all of our attendees next year in San Antonio (March 19-22) where will be celebrating ADAA's 40th Conference! Submission and registration information coming soon.